PR Newswire, ANN ARBOR, Mich. — The 3rd annual CHAMPs for Mott, scheduled for Saturday, May 14 – Monday, May 16, 2016, is an exciting fundraiser for the University of Michigan C.S. Mott Children’s Hospital. 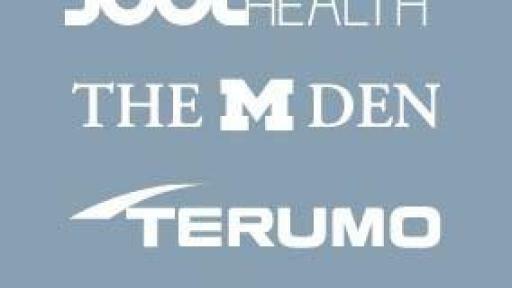 With co-presenting sponsors Delta Air Lines and Lexus of Ann Arbor, the event brings together supporters to help raise much needed funds for the kids at Mott — one of the top-10 children’s hospitals in the United States. The weekend’s activities kick off with the Culinary Gala on Saturday, May 14, where more than 300 Mott supporters will enjoy a strolling dining experience prepared before their eyes by world-renowned chefs from around the country at a Delta Air Lines airplane hangar at Detroit Metropolitan Wayne County Airport (DTW). The dinner will be followed by an 18-hole golf tournament on Monday, May 16, at the prestigious Oakland Hills Country Club - South Course. Celebrity chef Fabio Viviani – best known for his appearances on Bravo’s hit reality series “Top Chef” and “Top Chef All Stars” — will be the gala host as guests enjoy delicious cuisine while learning more about the life-changing work being done at Mott. The gala dinner will be emceed by Rhonda Walker, WDIV TV 4 News Morning Anchor, and Brandon Roux, WDIV TV 4 News Meteorologist. The weekend will help Mott continue to make transformative progress in finding cures for heart disease, cancer and other chronic conditions that affect far too many of our children. Teams of clinicians and scientists in our Congenital Heart Center and the Charles Woodson Clinical Research Initiative have made it their life’s work to push the boundaries of pediatric medicine. Support from this event will help propel their groundbreaking discoveries forward and provide new hope for our Little Victors. Since the inaugural CHAMPs for Mott in 2014, the event has raised more than $650,000 for programs at Mott. For more information on CHAMPs for Mott please visit champsformott.org. Media may attend the gala and golf outing. RSVP to Aamira Bussey Bellamy at busseya@umich.edu or 734-763-6050. About C.S. Mott Children’s Hospital: Since 1903, the University of Michigan has led the way in providing comprehensive, specialized health care for children. From leading-edge heart surgery that's performed in the womb to complete emergency care that's there when you need it, families from all over come to the University of Michigan C.S. Mott Children's Hospital for our pediatric expertise. For more information, go to www.mottchildren.org.